“How can I apply for scholarship?” This is one question we get asked at least five times every day by students. It’s been established that organizations, governments and universities around the world award scholarships worth millions of dollars to African students to study for undergraduate, masters and PhD every year. With AfterschoolAfrica.com scholarship database, finding a scholarship is easier than ever. It’s “Search; and ye shall find”. The next stage of the awareness is for students who need these scholarships to understand how to apply and take advantage of these opportunities. In this article, you’ll learn the general guideline to apply for scholarships – especially international scholarships. As a student looking to study outside your country, your first step is to consider which country or region you want to study. Do you want to study in UK, USA, Asia or Australia? At least 18 months before you intend to gain admission, focus your scholarship research on the country or region where you want to study. That way you’ll have enough time to gather required documents. A number of scholarships originate locally. There are government and company scholarships for citizens to study abroad. Ask and find out about them from your friends and colleagues. Emmanuel learnt about PTDF scholarship – Nigeria – from a colleague at his work place. He ended up winning a scholarship to study for Masters at University of Manchester UK. It’s common for international scholarship programs to require that students meet certain test score; TOEFL, IELTS, SAT, GMAT or GRE. For some scholarship programs, if you don’t have the required test result, you will not be eligible to apply. Register and take the required test and get your score ready. Start gathering other required documents – transcript, certificates, identification letters – ready. It is important to note that there are no general rules to be eligible for scholarships. Each scholarship program has its unique application requirements. Some scholarships require students to have a certain TOEFL or IELTS score; that you are from a certain country; that you have a certain Grade Point Average. Once you identify a scholarship program, read through the guidelines to see if you are eligible to apply. Most scholarship providers require that candidates must have admission or be in the admission process to be considered for scholarship. In such case, your scholarship application will not be considered if you have not been offered a conditional or unconditional admission at a university. Some scholarships however require that you apply for admission and scholarship at the same time. The point is that, in most cases, you cannot be awarded a scholarship before an admission. A scholarship application often contains the selection criteria, but you should go deeper. Research the scholarship sponsor on the web. Look for the organization’s mission statement, which you’ll often find in the “About Us” section of its website. Strive to know what they are looking for in a scholarship awardee. Position yourself within that ideal. Apply to every eligible scholarship. Believe it or not, many scholarships go unawarded each year. “…But we had no eligible applicants. The same thing happened with some engineering scholarships–we failed to award all we had to offer for lack of applicants,” said Mary Ann Eiff Co-Chair scholarship committee for Women in Aviation. Don’t ignore the small funds. Some scholarships worth $1,000 or less may be less competitive, which could give you more advantage. 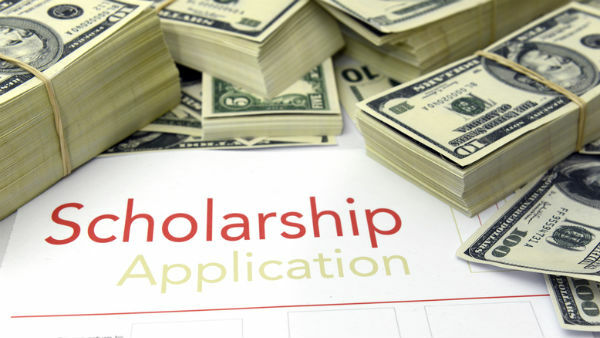 Applying for scholarships that require submitting an essay can increase your chance of success if you put in the effort to write a winning easy. Let your passion resonate with the scholarship committee members. Be personal. Reveal who you are and why you deserve a scholarship more than everyone else. Don’t sound pitiful. Instead emphasize on how you solved a problem or overcame adversity in your life. And how you believe you can do even more if given a scholarship. Most professions require attention to details. Scholarship providers take this seriously when considering the right applicant for a scholarship award. How you prepare your application speaks loudly about how detail-oriented you are. Think about it. Who will want to assist an aspiring medical doctor achieve his dream when he/she cannot follow simple instructions? You may be surprised to hear that a large number of scholarship applications do not adhere to the application guidelines. Stand out. Go the extra miles to provide all required documents, including recommendation letters. Submit a meticulously completed application. A number of scholarship sponsors publish the names and press releases of winners. Find a way to reach the winners. You can search on social media. Contact them for questions and advice. You never know what you can learn from their experience. Some scholarship programs just require you to complete an application form online or offline. Others require specially written piece of work. However, just make sure you submit your application and required documents before the deadline. Nigerian University Students Builds Car That Passes Int’l Evaluation – From ‘Tuke Tuke’ to ABUCAR.